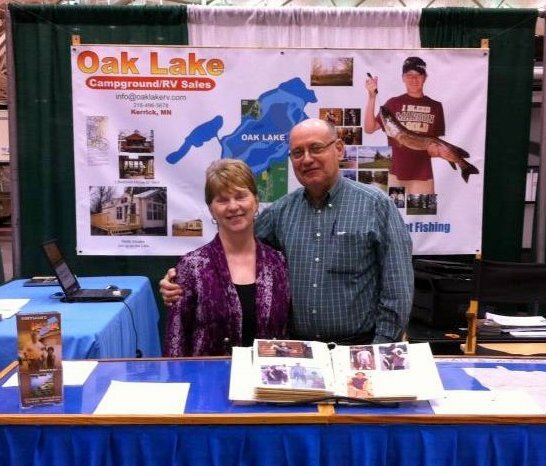 About Us — Oak Lake Campground of Minnesota | Camping, Fishing, Seasonal and Daily Campsites, RV Sales on beautiful Oak Lake! Along with our grown children, Alan, Dan and Diane – We welcome you to the Oak Lake Campground located in East Central Minnesota in northern Pine county! We are excited to announce our NEW RV Sales & Service which is in Moose Lake Minnesota located in Southern Carlton County. Henry is a 3rd generation Hoffman running the Oak Lake Campground - which was known in the 1920’s as the “Oak Lake Resort”. Henry and Norma took over the family business in 1969. Henry worked a “day job” for eight hours, then worked well into the evenings nearly every day and weekends to improve the campground until 1980 when he was able to commit to the campground exclusively. He still works from morning until dark and most that know him suspect it will be that way for a very long time to come still. Henry doesn’t consider all the work he does a job - it is his passion. The campground grew continuously to the point where there are now approximately 207 sites. Most of these sites are full hookups and rented seasonally. Several great sites have been kept open to daily guests right down next to the water’s edge, including tenting sites. The lake offers excellent fishing for Walleye, Crappie, Sunfish, Northern Pike, and Bass. There are seven large docks located throughout the park. These docks are available for daily use parking in designated areas, and can be fished from responsibly. For seasonal guests, private docking is also available. All sites come with a picnic table and fire ring. Wood is available at the Campground Store as well as many items including bait, tackle, concessions, light groceries, clothing, RV parts, and other related items. The Store also has a game room as well as tables and chairs for board games, cards, eating, or whatever else you can think of doing inside! We also have Free WiFi in the Campground Store. The grounds feature a shower house w/laundry, playground, horseshoe pits, sport court, sandy beach, and a large trail system. The trail system is intended for hiking, biking, and even maintained for golf carts which are a common site. Four wheelers are plentiful here. They are corralled up by the Campground Service Building and often are seen heading to the Nemadji State Forest just two miles away, the largest state forest in the state of Minnesota. The best four wheeling trails are practically in our back yard! Organized activities include wagon rides most weekends, and various games for kids and adults on specified weekends. We have several units for sale in the park if you are looking to stay with us seasonally. We also occasionally have open seasonal sites available to move onto immediately. You can schedule service work to be done right on your site while you are a seasonal guest with us, by calling our service department located at our Moose Lake Facility. You’ll find plenty to do or just relax when you come stay with us at our clean and quiet Campground on Oak Lake in east central Minnesota! Henry was born on the property and has been running the business since 1969. Henry and Norma have lived on site since that time as an unbeatable husband & wife team. Built basically from scratch, the business has evolved constantly since that time to what it is today. Those that have seen the entire journey recognize Henry’s visionary-type skills and moxie to execute with much personal sacrifice. We expect that he will continue to outwork men half his age for the foreseeable future. Norma has worked every aspect of the business. Her credentials-both past and present- include: lawn care, receptionist, store manager/clerk, restroom maintenance, titles, and has probably forgotten more aspects of running your own business than most people have ever taken part in. Norma has been a mainstay since 1969. 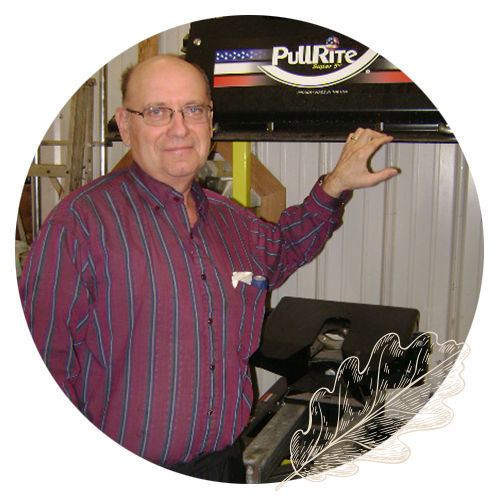 Alan is our Sales Manager at our NEW Oak Lake RV Sales & Service Facility in Moose Lake. He has been involved in every aspect of the business, including but not limited to, Campground Maintenance, Dock Building and Sewer Installation. He is still our Night Watchman at the Campground on the weekends. Alan grew up on the property since he was a one year old and still lives on site with his family. Dan is our Parts Manager at our NEW Oak Lake RV Sales & Service Facility in Moose Lake. Dan was born into the business. Throughout the years he has taken care of Campground Maintenance. Dan has 19 years in as a Certified Crane Operator (heavy equipment in the local union #49). He and his family live over the river & through the woods from our Oak Lake Campground. 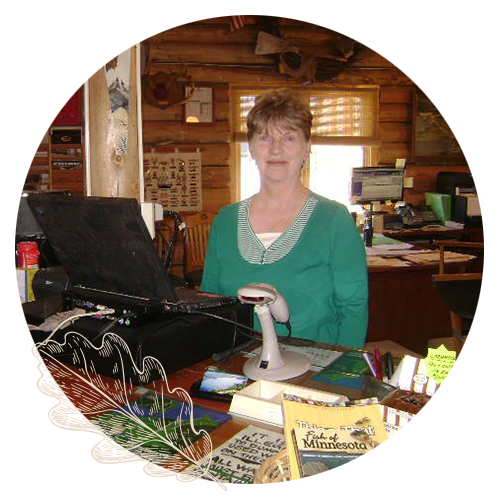 Diane is our Oak Lake Campground Manager. Along with Dan, she was born into the business. Like Alan, she has been involved in many aspects of the business, including Webmaster, Customer Billing, Receptionist, and Titles. She and her family live on Oak Lake. Since opening our NEW Oak Lake RV Sales & Service Facility in Moose Lake, we have had many people join our team. Their areas of expertise include: Sales, Finance, Office, Service and Parts.